The June 2010 Daring Bakersâ€™ challenge was hosted by Dawn of Doable and Delicious. 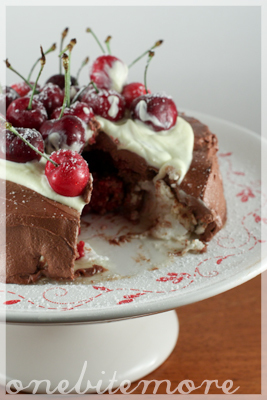 Dawn challenged the Daring Bakersâ€™ to make Chocolate Pavlovas and Chocolate Mascarpone Mousse. 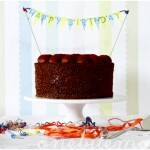 The challenge recipe is based on a recipe from the book Chocolate Epiphany by Francois Payard. I’d like to say it’s an inherited trait, but it just isn’t so. Tell you what is an inherited trait, though: my family (all four of us) are completely incapable of sticking to a recipe. Oh, we’ll try – heaven help us, we’ll try! But somewhere along the way, something will go missing. Or get added. Or, in my case, someone will accidentally misread 1/2 a cup of cream as 1 1/2 cups of cream (a simple error) and the end result will be fantastic. It didn’t help that I was rushing to finish the challenge at 4pm on Saturday the 26th, with a dinner invite that started at 6pm some 30 minutes or so away. It also didn’t help that I was mightily snoozy following a lunch of yum cha, and a post-lunch snack of oysters… Hmm. What did help, though, was the punnet of beautiful cherries that I paid far too much for. And the frozen raspberries that were calling to me from the freezer section. 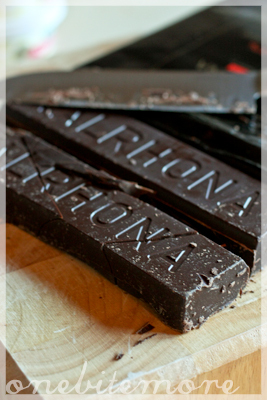 Oh, and most of all, the kilo block of valrhona that had been sitting in the pantry, begging to be used, for the better part of two months. And so, I baked a ring shaped pavlova – using the daring bakers recipe, mind you, but cutting the cooking time down drastically in light of our impending dinner date. 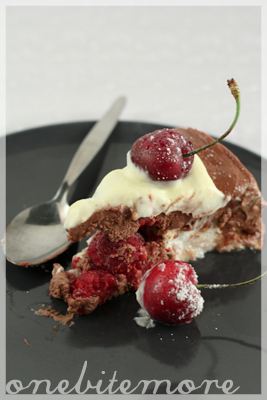 The cavity was filled with frozen raspberries, and the chocolate mousse (of which there were vast, vast quantities – see mistake above) was slathered all over the top. 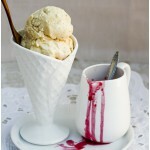 Mascarpone cream and cherries and icing sugar? Yes please. A taste test. A sigh. A grin at the realisation that there was another tub of mousse left in the fridge. We were only an hour and a half late to dinner. But that’s ok, we didn’t eat until nine anyway. 1. Separate your eggs. 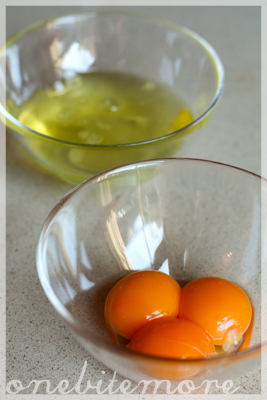 This means you put the egg whites in one bowl and the egg yolks in another. (This does not mean hiding them in far-reaching corners of the earth so that they are not in each others’ vicinity). 2. 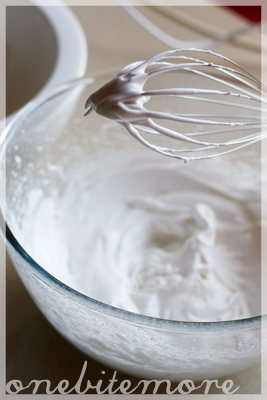 Whisk the egg whites to soft peaks and then slowly add the caster sugar, whisking until the eggs form firm peaks. 3. Fold the icing sugar in until it is combined thoroughly. 4. 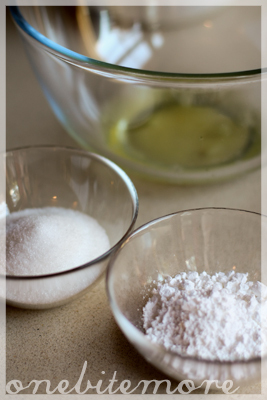 Dump the mixture onto a lined baking sheet and mould it to form a ring. 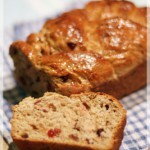 Bake it for 1.5 – 2hours at 95C. Let it cool in the oven. 2. Chop your chocolate into beautiful shards. Eat about 10grams of it. Yummo! 3. 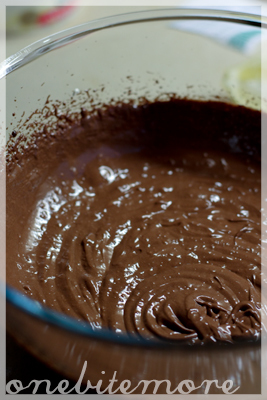 Take the cream off the heat and dump the chocolate in, whisking until it is beautiful and smooth. Pour it into a bowl and stick it in the fridge until it is cool to touch. 4. 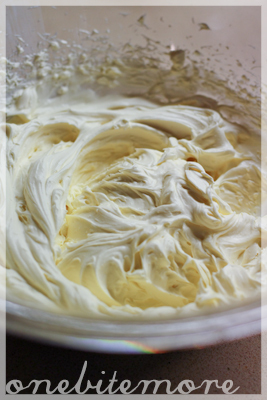 Meanwhile, whisk your mascarpone & remaining Â½C cream until it forms lovely firm peaks. 5. 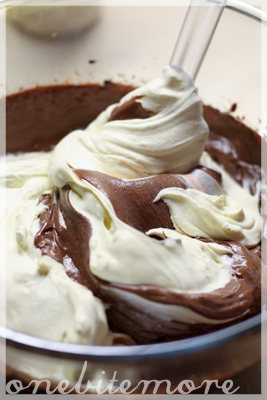 When the chocolate is cool, whisk it until it is fluffy and then fold the mascarpone cream mixture in. 2. Dump the raspberries in the middle. 3. 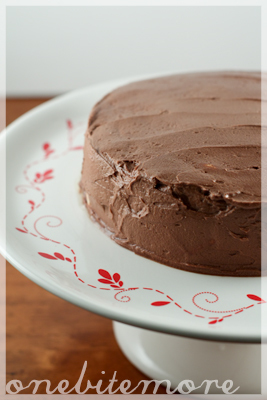 Plop the chocolate mousse on top and smooth over the top and around the sides to form a cake-like shape. 4. 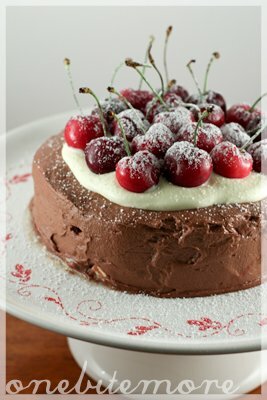 Pour over the mascarpone cream, top with cherries and dust with icing sugar. What a splendid pavlova cake! So delicious looking! What a serendipitous accident =) When I misread/mis-do/mis-judge something there are usually more serious consequences, like when I put a batch of little cakes in the oven and then found a bowl of whisked eggs sitting on the benchtop afterwards! Great the accident worked so well and the final result looks so lovely and delicious well done!!! Cheers from Audax in Sydney Australia. 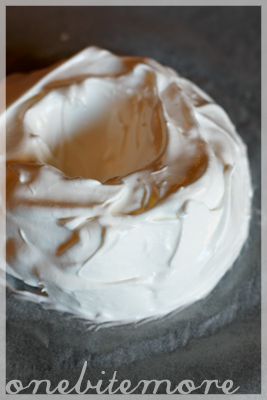 Your mousse seems so fluffy and the photo of finished pavlova looks mouthwatering and flawless. What a beautiful cake. The cherries on top look really stunning. Well done! i wish i made mistakes like that! it looks soo good and you’d never know it was a pav until you cut in. the mousse was fab, wasn’t it? Wow that’s a very pretty pavlova cake…love the way you decorated it! I’m so glad the mousse turned out well and you didn’t miss dinner. Well, despite the little mistakes, your dessert resulted into something absolutely magnificent! Good job on this challenge! This looks AMAZING!!!! How inventive! I think I just died and went to heaven. Holy cow! What a gorgeous cake! Your take on the pavlova is brilliant! 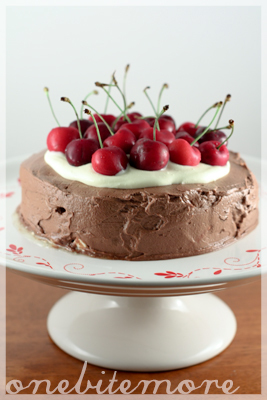 Your mousse is lovely,smooth and light combined with the cherries and raspberries, yeah they would have been impressed! Well done! A fabulous pavlova cake! Looks mouthwatering! 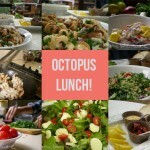 I’m more of an eater than cook, always have so much respect for bloggers who can cook, jealous even! What a Great Cake! I was salivating as I read your post!